Walter Luther Chester, 88, of Benton, formerly of Hamburg, passed away from this life on Thursday, January 31, 2019. Walter, also known by family and friends as W.L., Dub, and his favorite name Papaw, was born August 5, 1930, in Camden, Tennessee. He grew up in Collins and joined the Air Force in 1950. That first year, he flew all over the United States playing catcher for the Air Force baseball team. The next year, he re-enlisted in the Army and served in the Korean Conflict as a Combat Engineer. He often recounted memories of tasks his unit did to advance our troops--clearing minefields, building roads, and building bridges ahead for the advancement of our Armed Forces, only to rebuild the bridges when they were blown up by the enemy. After the war, he taught Officers Training at Fort Belvoir Army Installation in Virginia. Walter married Wanda McKiever on August 11, 1951, and quietly entered civilian life in Hamburg, where the couple raised their family on West Jefferson, a place where all the families knew each other and became lifelong friends. His good nature and business sense made him successful in car sales. He started at Hamburg Motor Company as Parts and Service Manager and then moved to sales, also working at Hennington Chevrolet and Murphy Ford. At one point, he opened his own business, Chester Used Cars in Hamburg, and then later moved to Lucky Chevrolet in Monticello where he retired. During his career, he was a member of the Hamburg Chamber of Commerce, and he received several sales awards from Chevrolet, including Chevrolet Legion of Leaders for 20 years, Golden Record in Parts Service Jubilee, and the Chevrolet Truck Sales Honor Club Hall of Fame for truck sales achievement. The Chesters moved to Benton in 2006, where they spent their time with their son’s family and great-grandchildren. 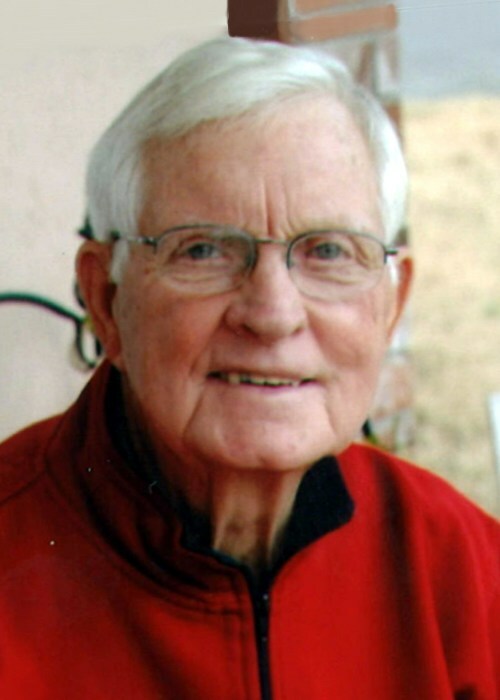 Mr. Chester’s hobbies and interests included baseball, hunting, and his church. He always has been an avid fan of the St Louis Cardinals, and a highlight of his life was being asked to try out for the St. Louis Cardinals’ catcher position when he was playing for the Air Force. When Walter wasn’t working, he was usually coaching Little League Baseball. Another favorite pastime was bird hunting with his buddies Harold Holland, Ronnie Lagrone, Larry Johnson, and Steve Simmons. The Chester family were members of the First Baptist Church of Hamburg, where Walter served as the Sunday School Superintendent and the Assistant Superintendent of Training Union. He attended Hurricane Lake Baptist Church while living in Benton. He was preceded in death by his parents Arie May Ogles Chester and George Luther Chester and his sister Martha Sue Merchant. Those surviving to cherish his memory are his wife of 67 years, Wanda Faye McKiever Chester of Benton; his son, Walter Stanley Chester and wife, Patti, of Benton; his grandson Elliott Gain Chester and wife, Stephanie, of Little Rock; two great-grandchildren, Bradley Kate Chester and Witt Stanley Chester; his sisters, Ima Jean Hooks of Haley, Shirley Ann Kizer and husband, Bob, of Collins; and a brother-in-law, Kenneth Merchant. In addition, he leaves behind treasured friends a host of nieces and nephews, especially dear friends Anna Ruth and Tommy Venters, Holly and Scotty Hodges, Glenda Gabby, Debbie Ladd and Peggy Holland, his caregiver Kim Ferguson, Kristi Gwatney, and many other friends who will miss him greatly and smile with fond memories of the love and laughter they shared with him. The family is also grateful for the staff of Southern Trace in Bryant and Arkansas Hospice who cared for him in his last days. Walter’s life will be celebrated at 2 p.m., on Monday, February 4, 2019, at First Baptist Church with Dr. Bobby Pennington and Bro. Bob Endel officiating. Burial will be in the Prairie Grove Cemetery. Pallbearers are Sonny Holland, Dennis Holland, Josh McKiever, Dale McKiever, Donald McKiever, Mark Hooks, Bruce Kizer, and Rusty Merchant. In lieu of flowers, the family would appreciate donations made to the Dr. William J. McKiever and Dr. William R. McKiever Scholarship, P.O. Box 3520 Monticello, AR 71656. Visitation will be 1-2 p.m., Monday at the church.